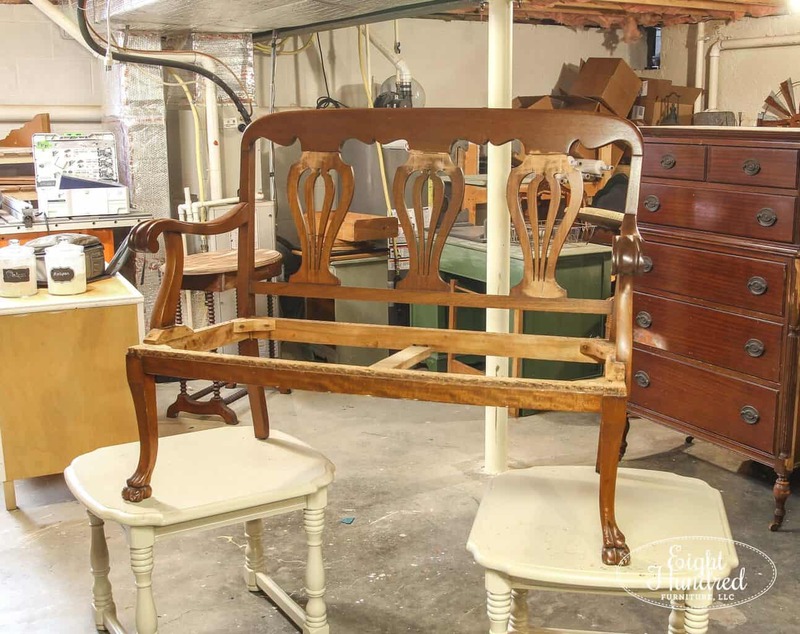 Today in the workshop, I started work on a Chippendale settee that I bought off of Facebook Marketplace. 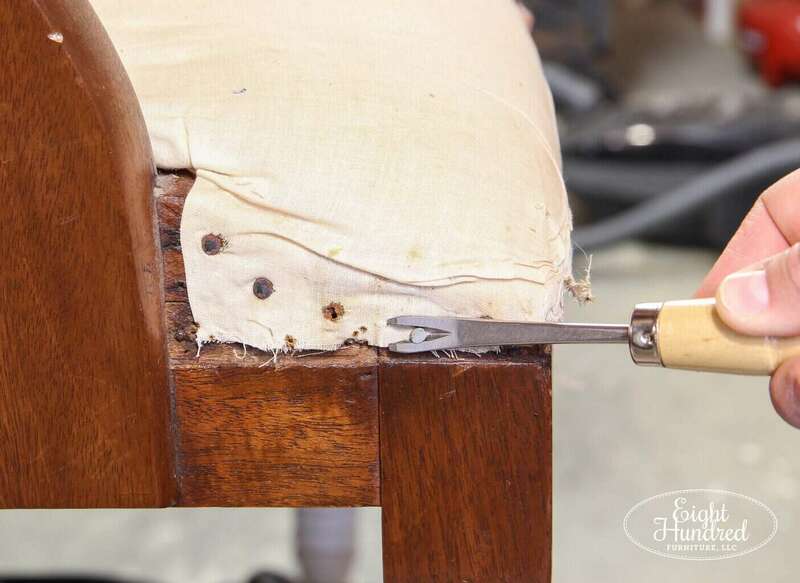 It’s been some time since I dove into the world of upholstery. I truly love this craft and I have so much appreciation for people who do it full-time. It’s such a lost art! 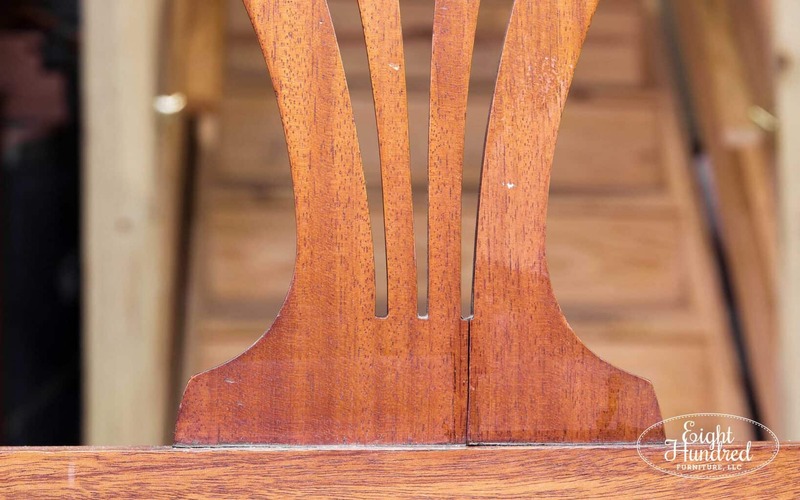 If you look carefully in the photo above, you can see a few clamps on the back of the settee. That’s where work began. 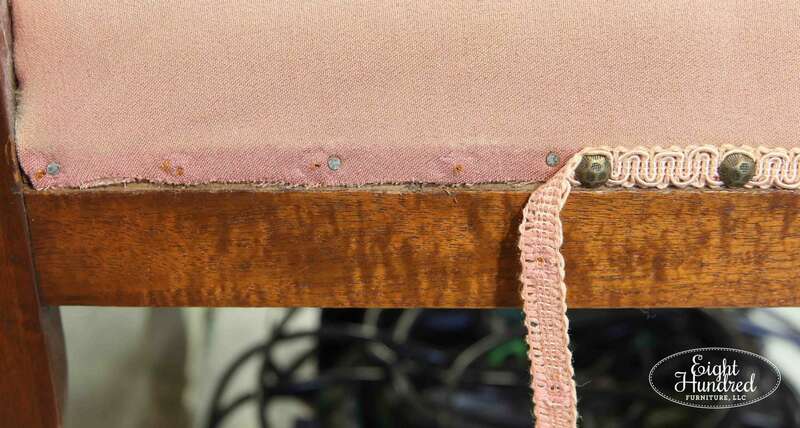 There were several cracks in the back of the settee that needed to be repaired. I glued and clamped all of the cracks, but that wasn’t enough. I let everything dry overnight and in the morning, they still wiggled a bit. To further stabilize them, I grabbed my can of Bondo Wood Filler. 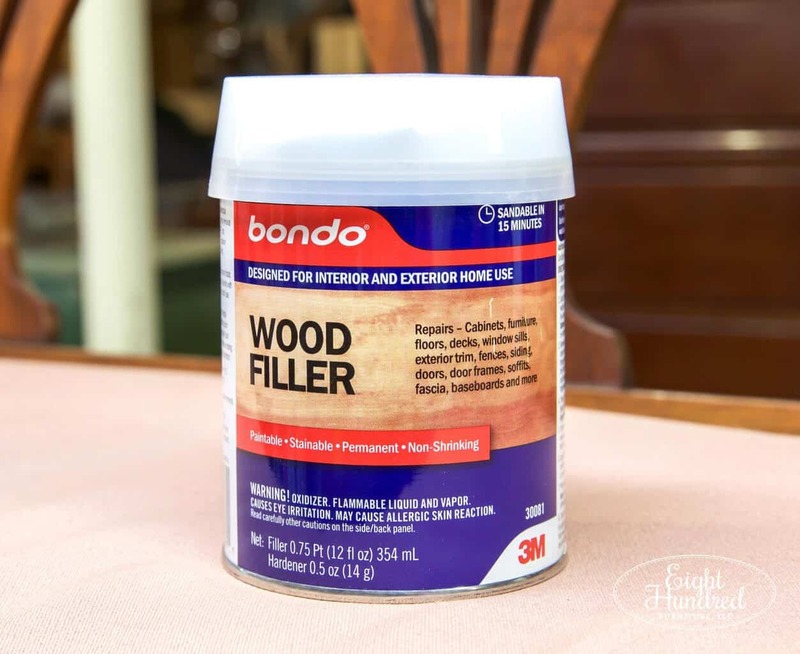 Bondo provides permanent non-shrinking repairs to wood surfaces. It cures fast and is ready to sand in 15 minutes. 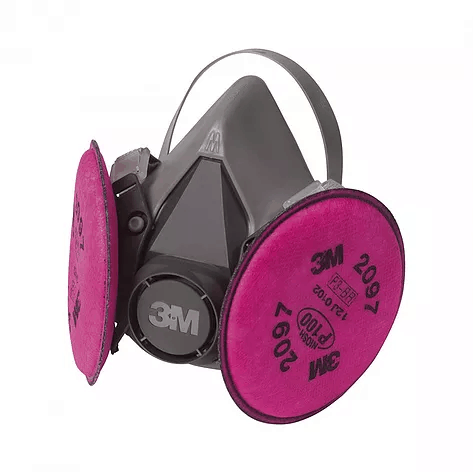 Unfortunately, Bondo has a very strong chemical odor, so you need to make sure you wear a respirator and have good ventilation when you’re working with it . 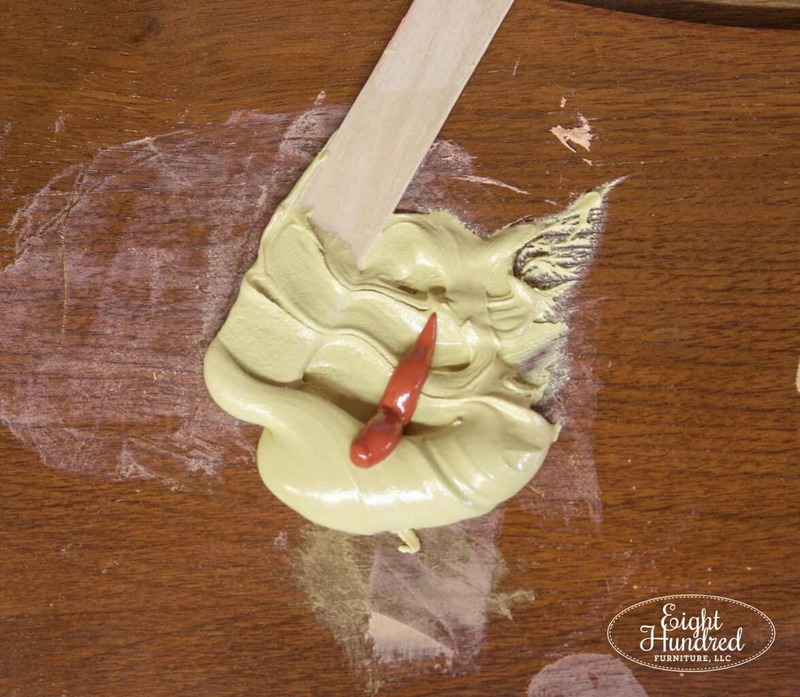 Using Bondo is easy. 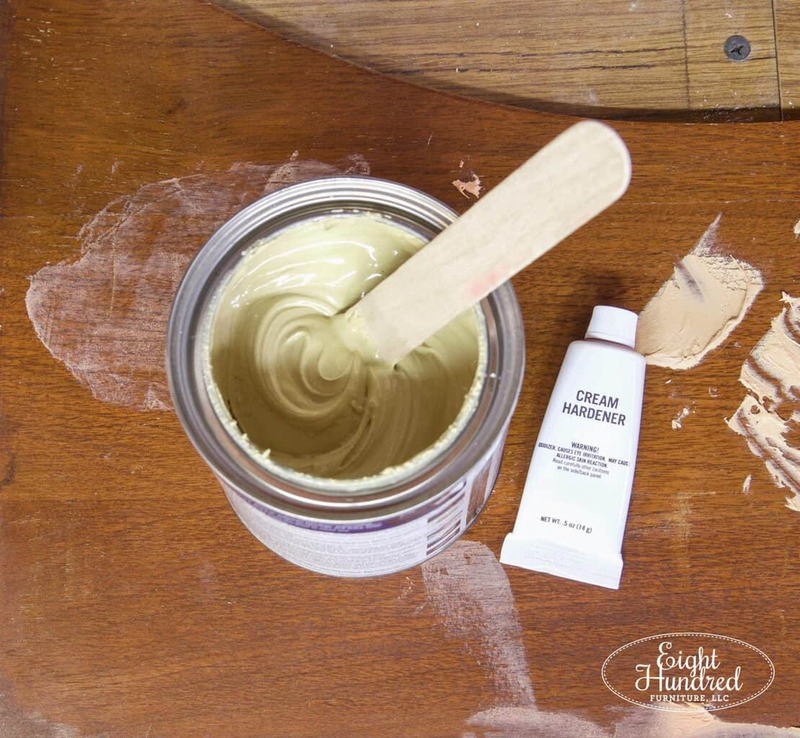 Open the can and scoop a blob onto a hard surface (like a scrap of wood). 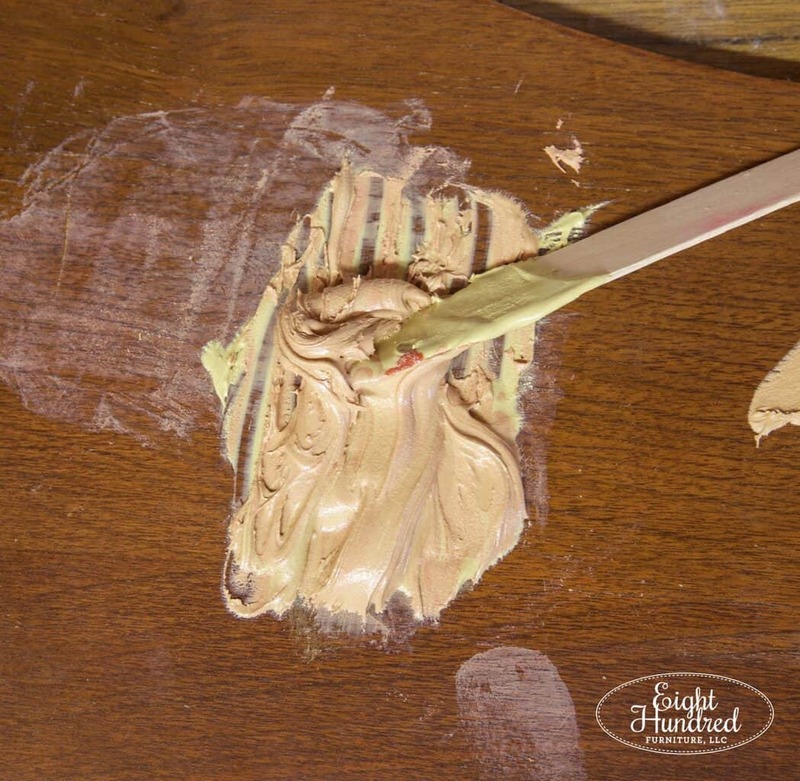 Then squirt a 3 inch strip of the included Cream Hardener on the Bondo and start mixing it. Mix until the color is consistent and start working fast! Remember, it cures in 15 minutes. Once my Bondo was ready, I spread it over the cracks. After 15 or 20 minutes had passed, it was ready to sand. It came out smooth and the cracks were all filled up. I wiggled them back and forth and they didn’t budge! They’re not pretty, but that’s okay. I plan on covering them up with paint! 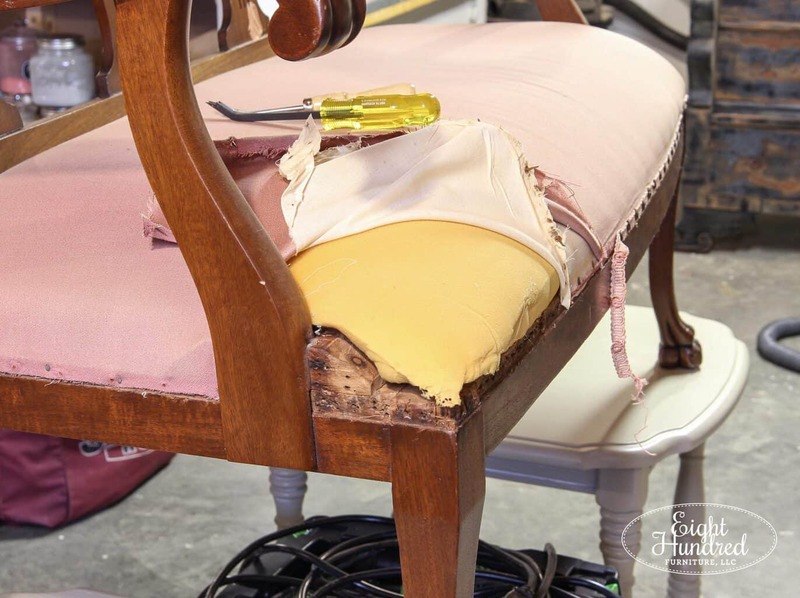 Once the settee was structurally sound, I started the tear down process. 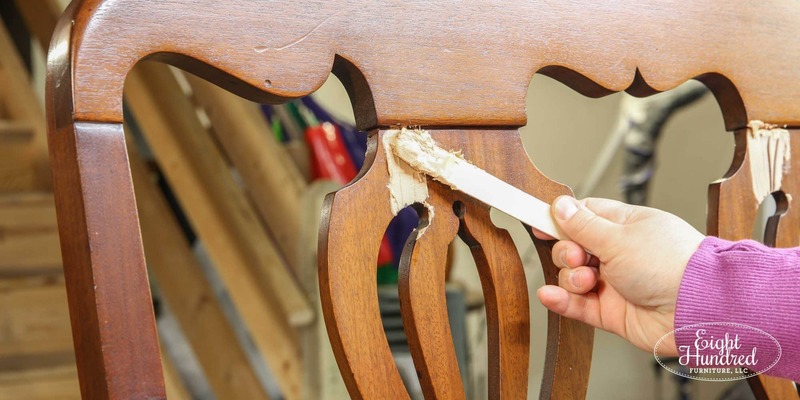 This is when you systematically remove all of the layers of upholstery from the top down. 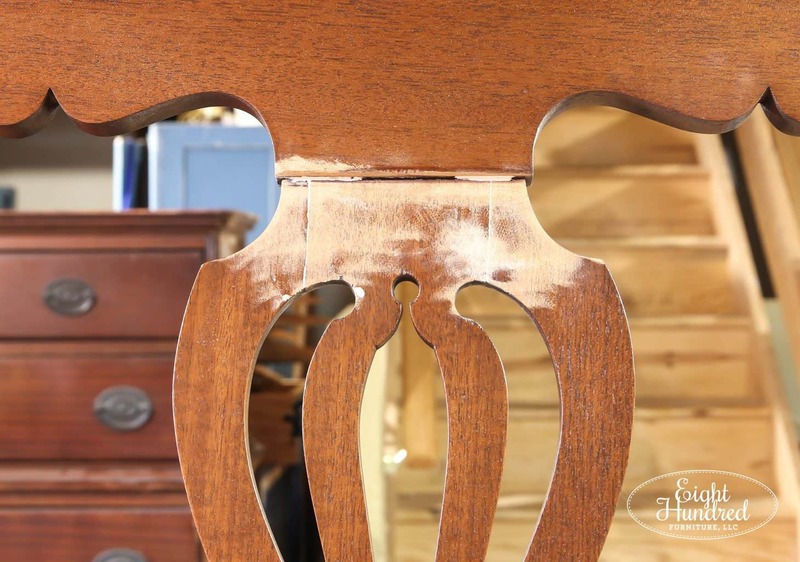 To reupholster the piece, you build back up the layers in the opposite order that you took them apart. 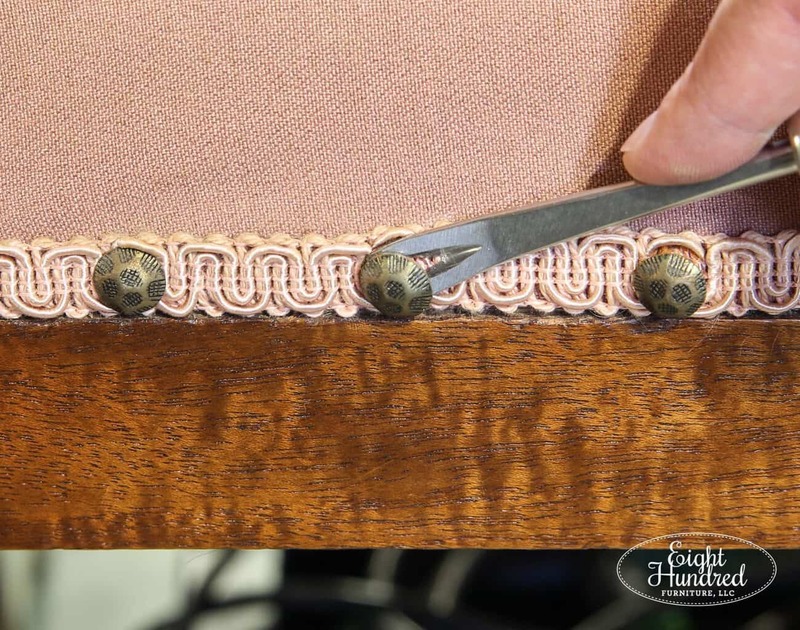 It all began by removing the decorative tacks with an upholstery staple/tack remover. 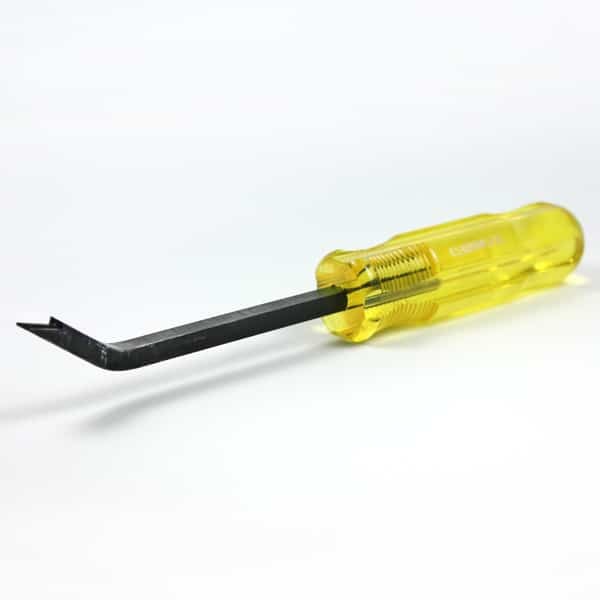 This is the remover that I like to use. 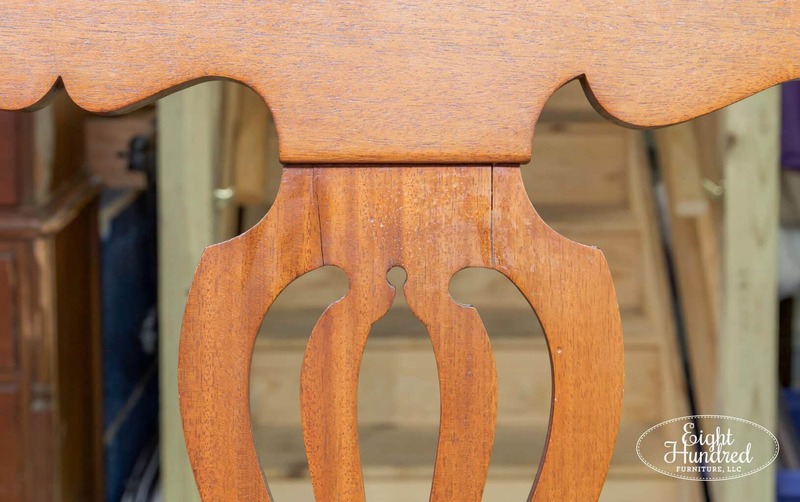 As I removed the decorative trim tacks, I saved them to be reused later. 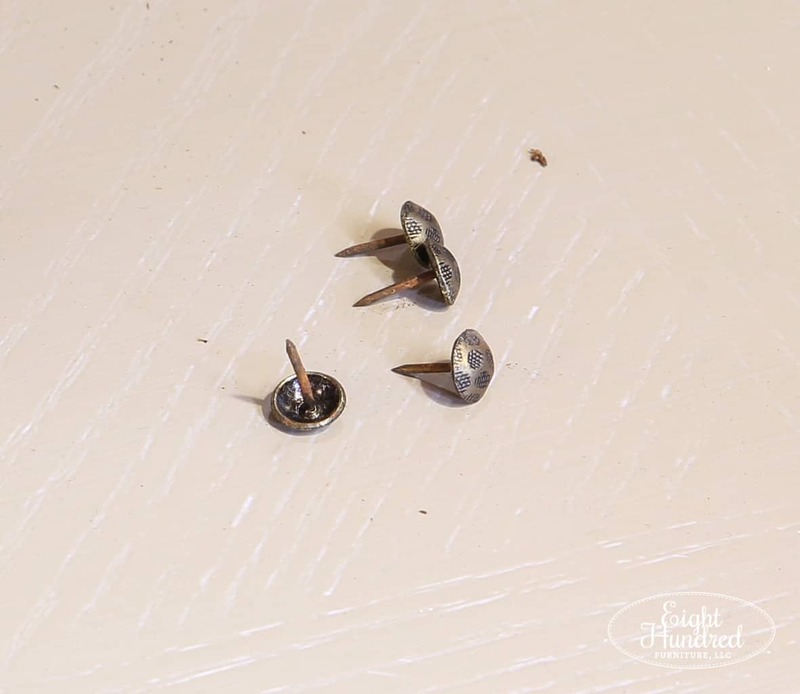 As the tacks came off, the gimp trim fell off easily. It wasn’t glued, which I was very thankful for! 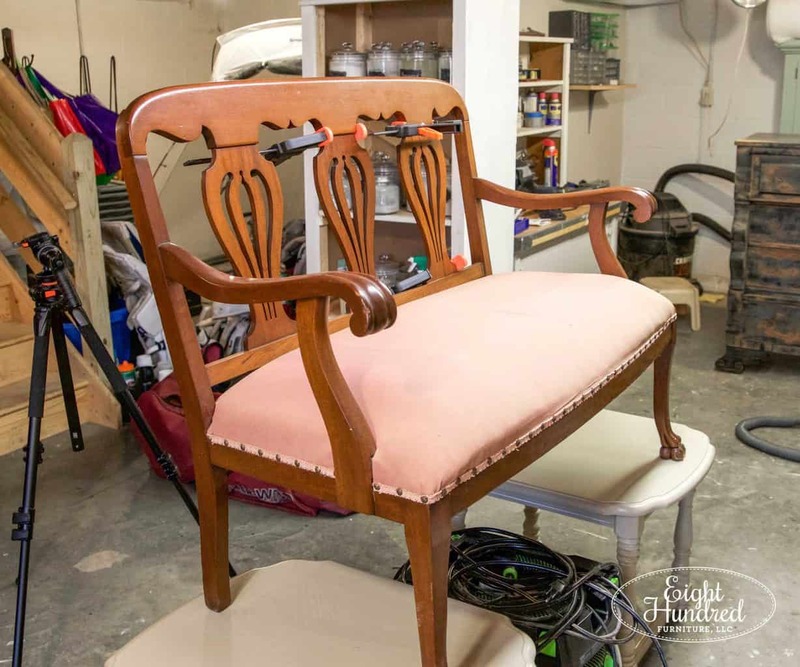 Once the trim was off, I removed the faded (and musty) pink fabric by picking away at the upholstery tacks holding it on. Underneath that layer was a layer of muslin held on by a set of rusty tacks. 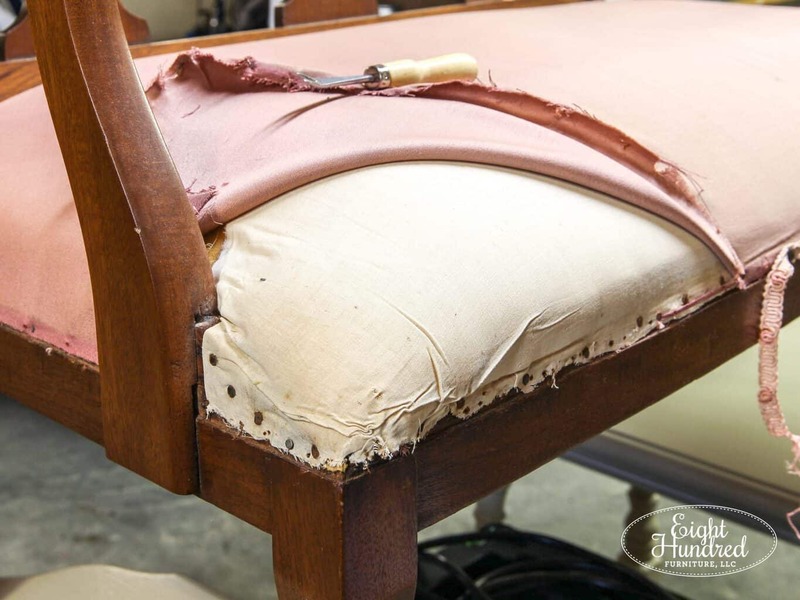 Once the fabric was removed from the front, I flipped the settee upside down and removed the tacks on the bottom. At this point, the only thing left to remove was all of the worn webbing. This smelled the worst of everything and it was very stretched out. 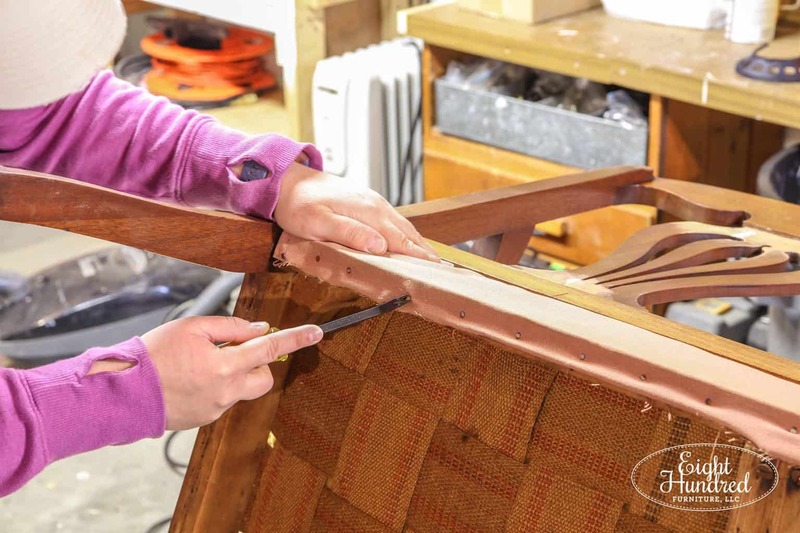 There were 5 upholstery tacks per strip, so this part took a while. See the sag in the webbing? This piece is definitely ready for a new support system! 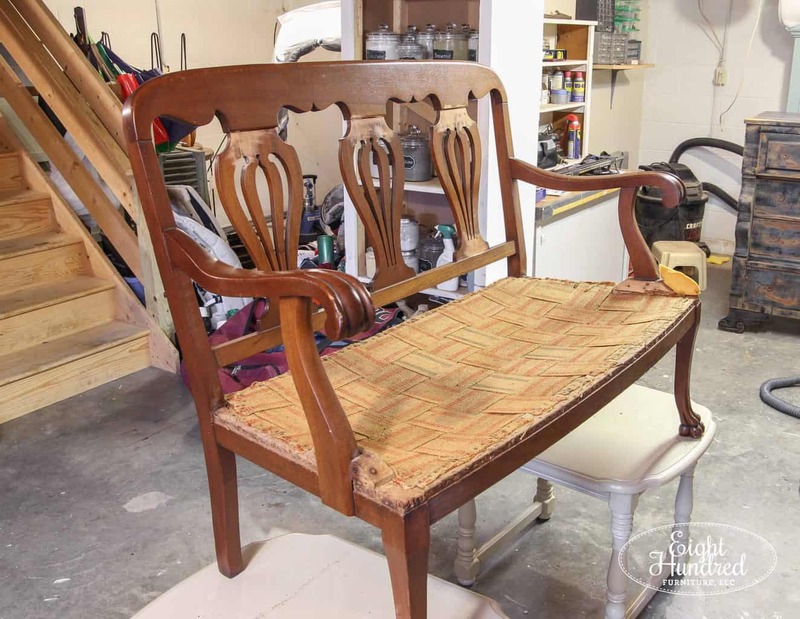 At this point, the tear down process is finished and all of the old upholstery materials have been thrown away. I don’t think I’ll be able to salvage the foam because I don’t like the smell of it. I’m going to try to lay it outside on a sunny day and see if that helps, but I have a suspicion that everything will need to be replaced. The next step is to paint, distress and seal the frame. I’m not quite sure which color I’m going to use, but it feels good to have the settee torn down to the frame.